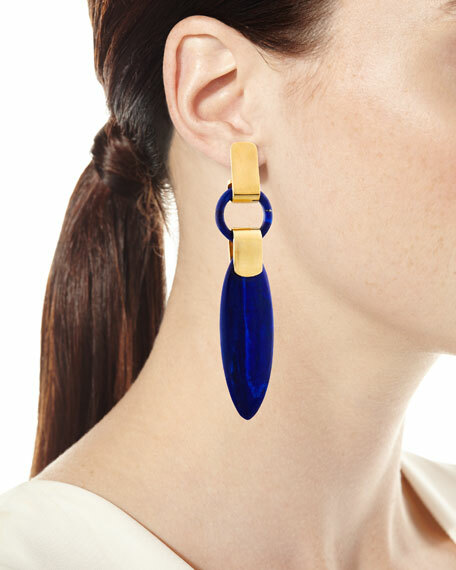 Lisa Eisner Jewelry "Spear" drop earrings. Circle and spear drop in lapis. 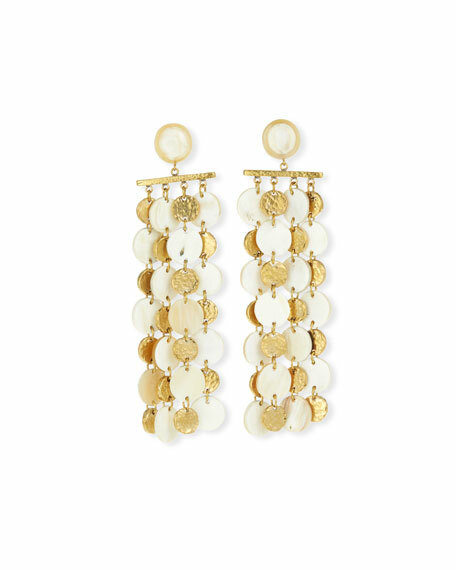 Ashley Pitman hoop drop earrings. African horn and hand-inlaid bronze. 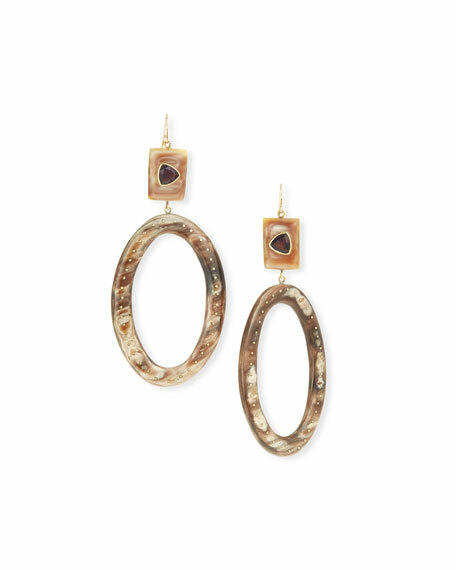 Rectangular drop and oval hoop dangle. Trillion-cut amethyst in bezel settings. French wire for pierced ears. Handcrafted in Kenya. 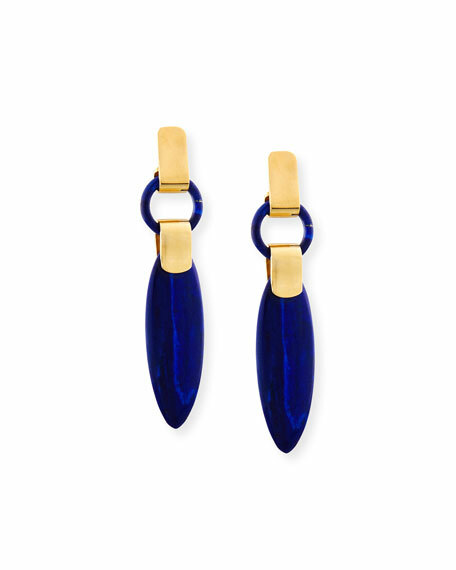 Ashley Pittman horn and bronze drop earrings. Signature African horn and hand-inlaid bronze. Round posts with four disc-chain dangles. Light horn and hammered bronze discs. Post backs for pierced ears. Handcrafted in Kenya. 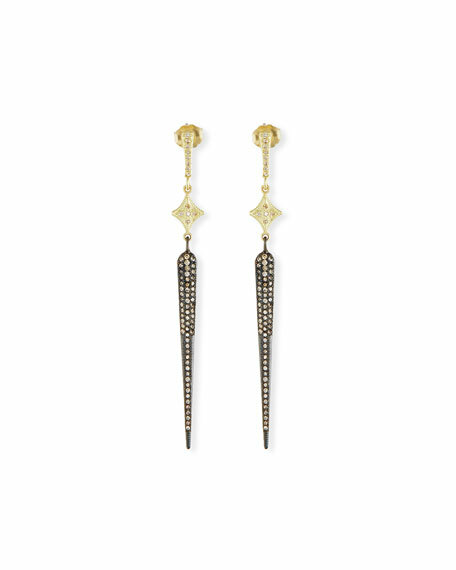 Ashley Pittman "Ngome" diamond-shaped earrings. Polished yellow golden hardware and settings. Round faceted, bezel-set blue topaz drop. 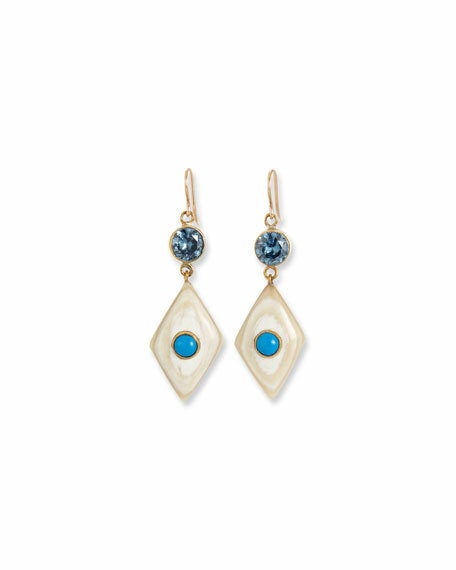 Light horn diamond-shaped dangle. Round, bezel-set turquoise center. French wire for pierced ears. Approx. 2"L x 0.8"W drop. Handcrafted in Kenya.